The symbol of infinity, represented by the sign ∞, had its origin for numerical use. 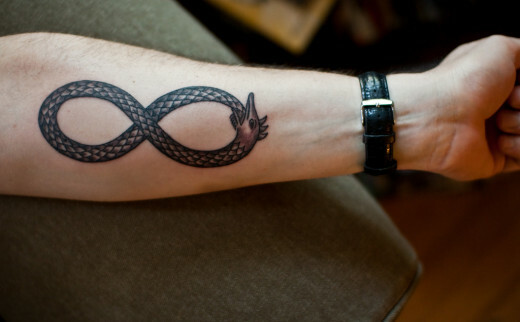 Moreover, the infinity symbol is also compared to Ourobouros a mythological snake that eats its own tail, and thus can not identify its beginning nor its end. For Christians, represents Jesus Christ and is a symbol of his eternal love. In many Eastern religions, the infinity symbol represents the idea of ​​endless reincarnation and planes of existence. Although traditionally a math symbol, the infinity symbol came to be used by the Romantics to represent the endless love. 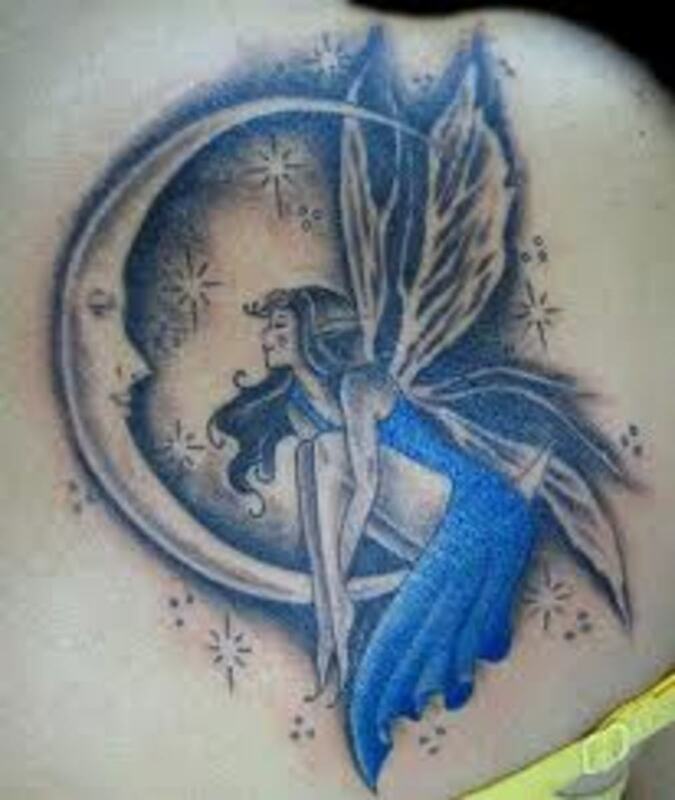 And then went on to be one of the preferred designs in time to get a tattoo that represents love, friendship or other sentiment that is expected to be eternal. A very great feeling, unconditional love, a desire for something that lasts forever. 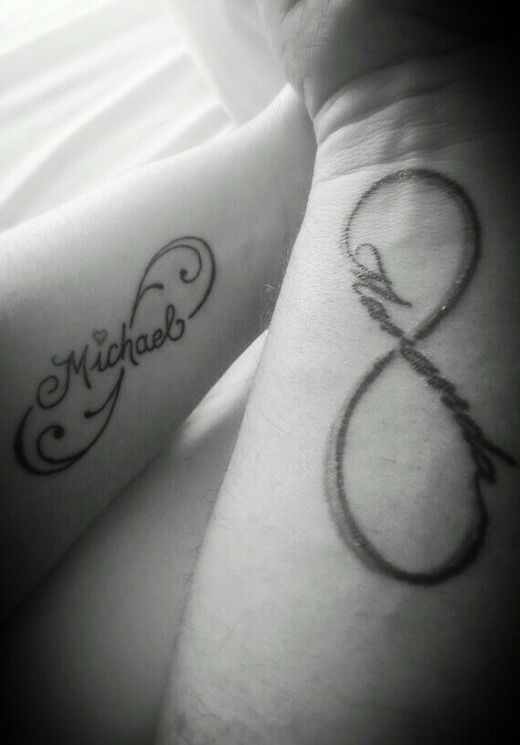 Therefore, many couples use the tattoo as a symbol of infinity tattoo alliance of the couple. 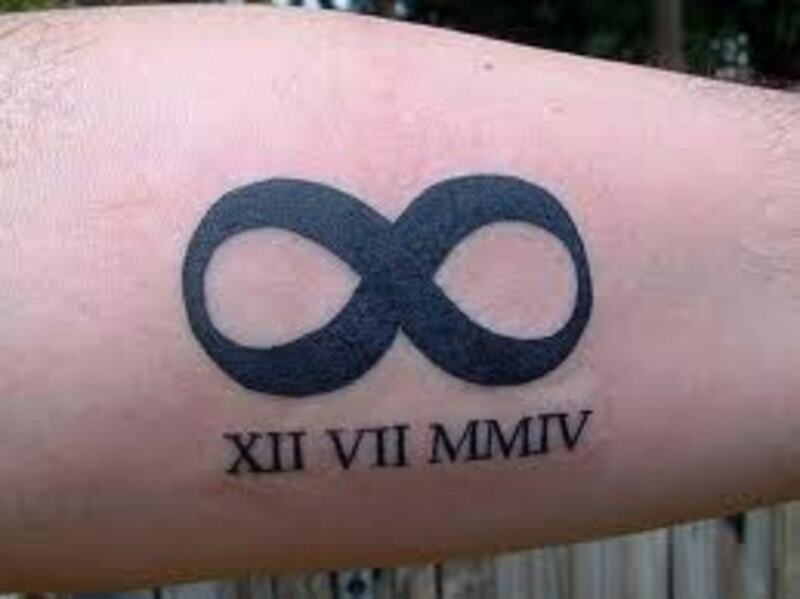 But the infinity symbol is delicate and harmonious design that can accompany other things, as a writing tattoo with the name of a child or something else related to science, for those who like a tattoo of nerd culture. It is believed that the infinity symbol was invented in 1655 by British mathematician John Wallis. Infinity is a concept in many fields, most predominantly in mathematics and physics, which refers to a quantity without limit and without end. Besides this meaning, people have developed various ideas throughout history about the nature of infinity. In mathematics, the infinite is often treated as a number which, incidentally, is larger than any real number. All this magnitude of infinity started messing with people's imagination, after all infinity is something that obviously you can not measure. The feeling when trying to imagine that greatness is the same as trying to measure a very strong feeling, such as love, for example. And it is precisely this expression of an endless feeling that people seek to express to choose a tattoo with the symbol of infinity. 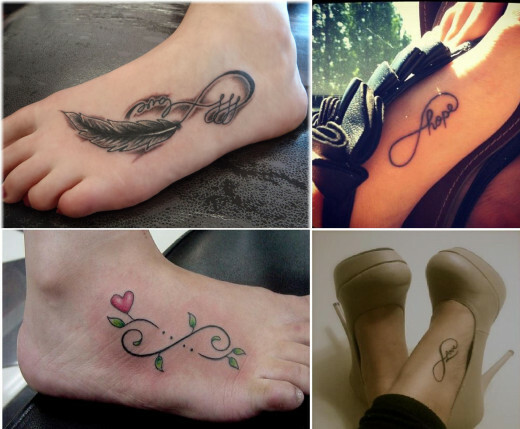 The main feature to be considered when deciding to get a tattoo with the symbol of infinity is if you want it to be a detail or main point of the design. It is possible, for example, to make a drawing larger and fit the symbol in some detail. 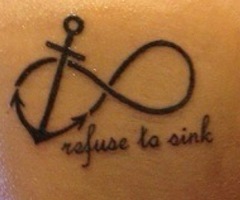 If you want to get a tattoo with the symbol of infinity, you first need to decide what the symbol will mean for you. 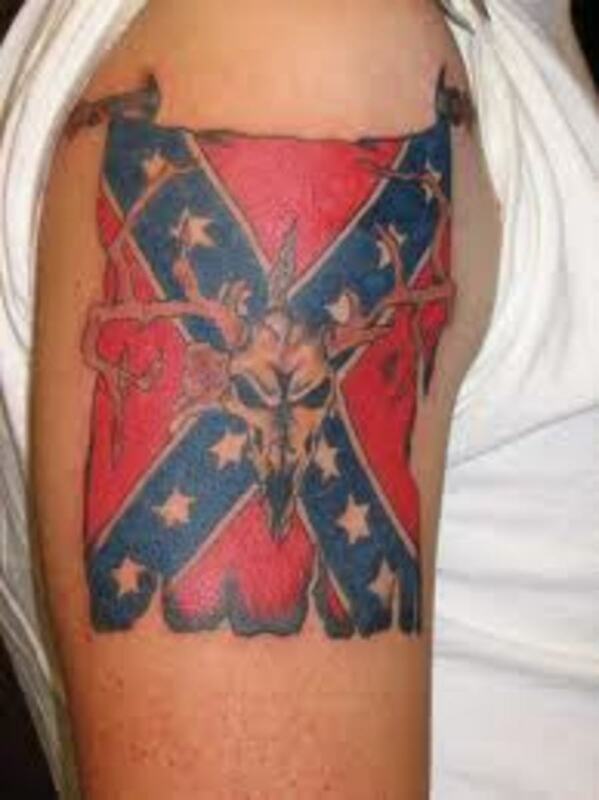 If your intention is a religious significance, then you can consider adding details like a cross, for example. 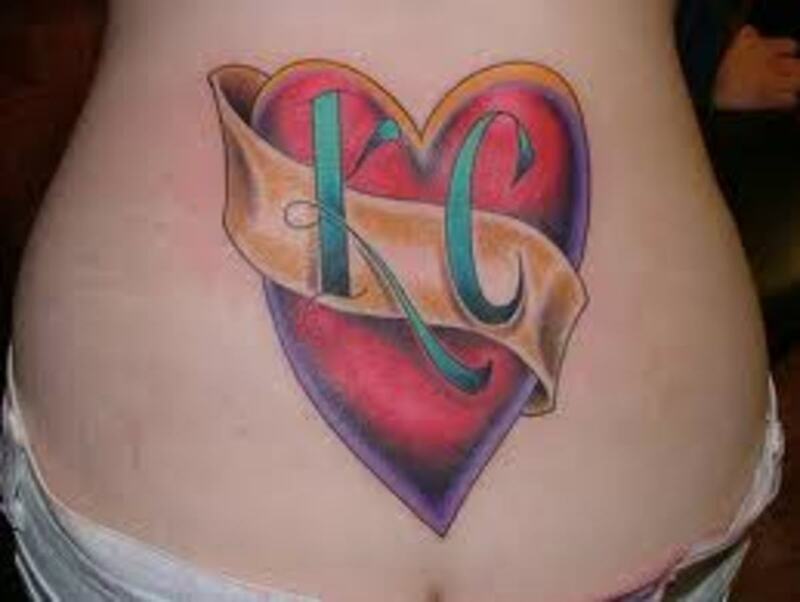 On the other hand, if you want to get the tattoo to represent a great love, you can write something next to the symbol, such as a name or phrase. 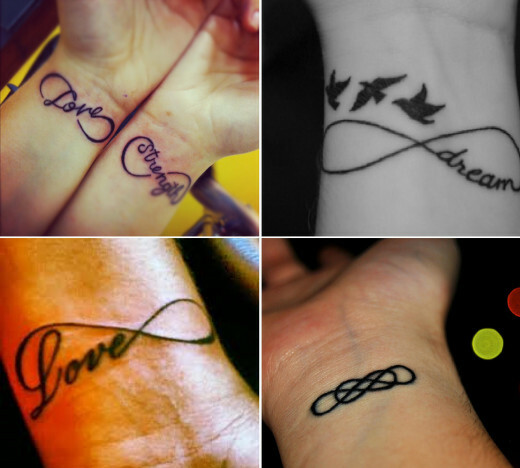 If you want to tattoo the symbol of infinity, but still do not know what better place and style for tattooing, check below some designs for you to get inspired, take courage and go do your tattoo. 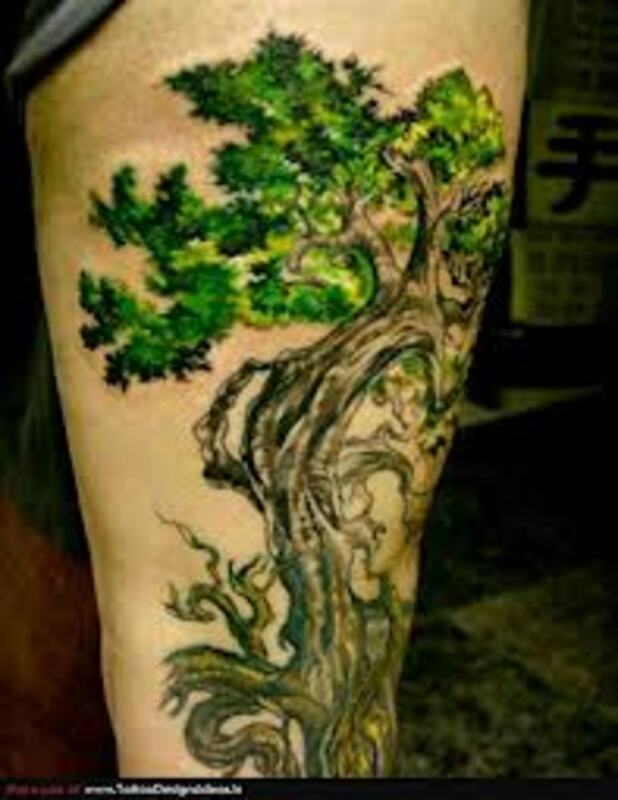 The wrist is the top location for those who prefer to make smaller and discreet tattoos. 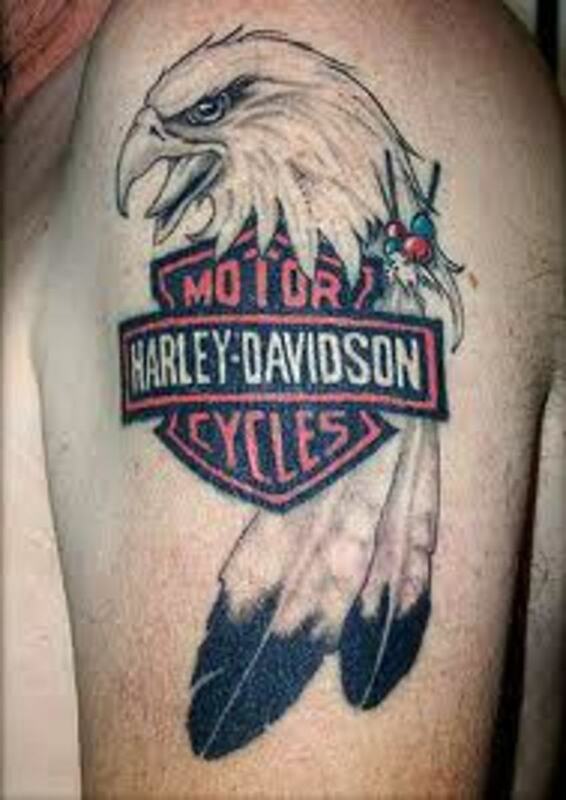 Despite being a region of great visibility, as it is very moving, the smaller tattoos provide greater elegance and charm to who owns them. 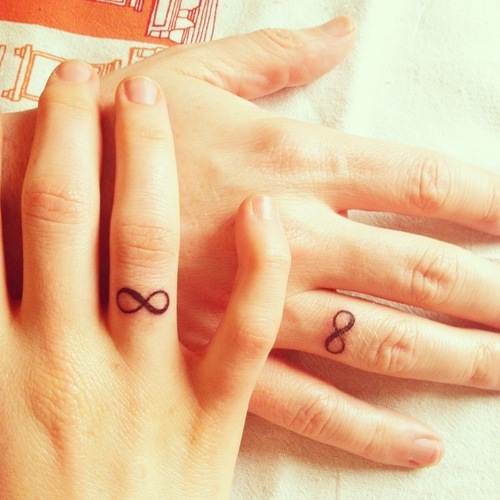 The design of the infinity symbol is good tiny, so it's a tattoo for fingers to the hand, the neck, the wrist. 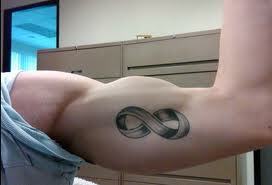 But this tattoo can also be large, as shown in the pictures of tattoos infinity symbol above. 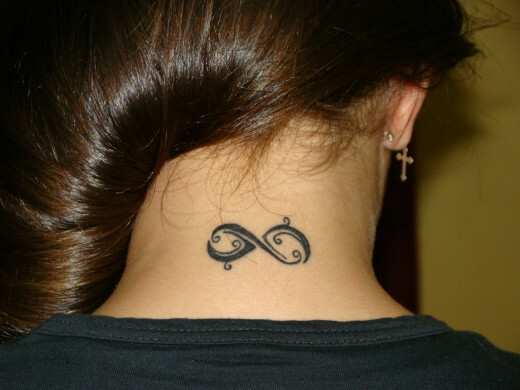 Today the infinity symbol tattoos are gaining strength, and many women are tattooing this design on their body. 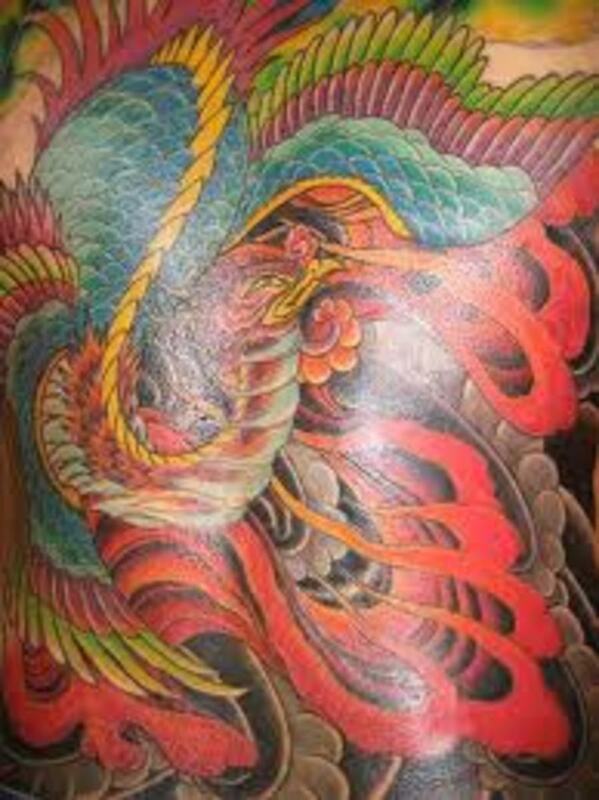 The designs of tattoos "Infinity" that we show here are made in various parts of the body and have enough varieties, some models have phrases, other birds and so on, a mixture of ideas and creativity for you to tattoo something you want but not as standard as this design has been. I hope to help you choose a nice design for you to leave marked on your skin.